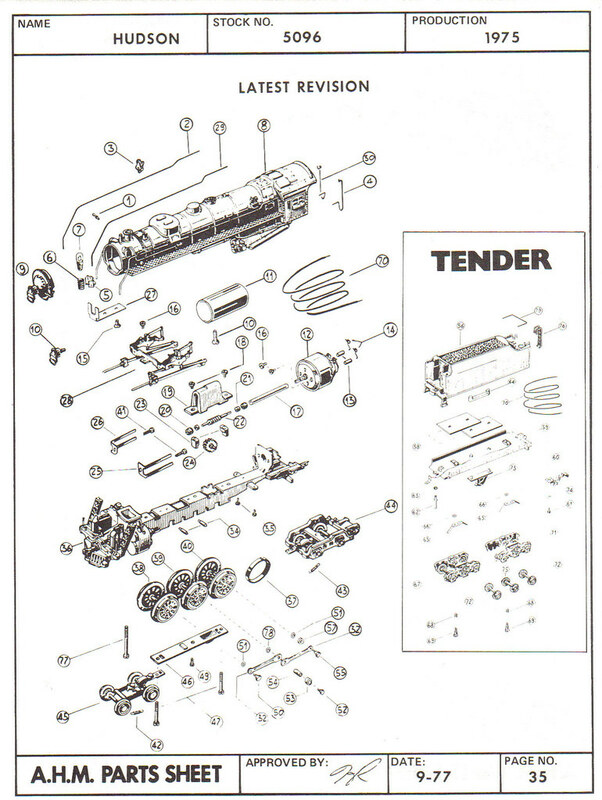 The artwork above for the 4-6-4 Hudson above is from AHM's 1967-68 product catalog. The model was new in 1966 and sold originally $29.95. Model Railroader's September 1966 issue reivews the NYC Hudson. 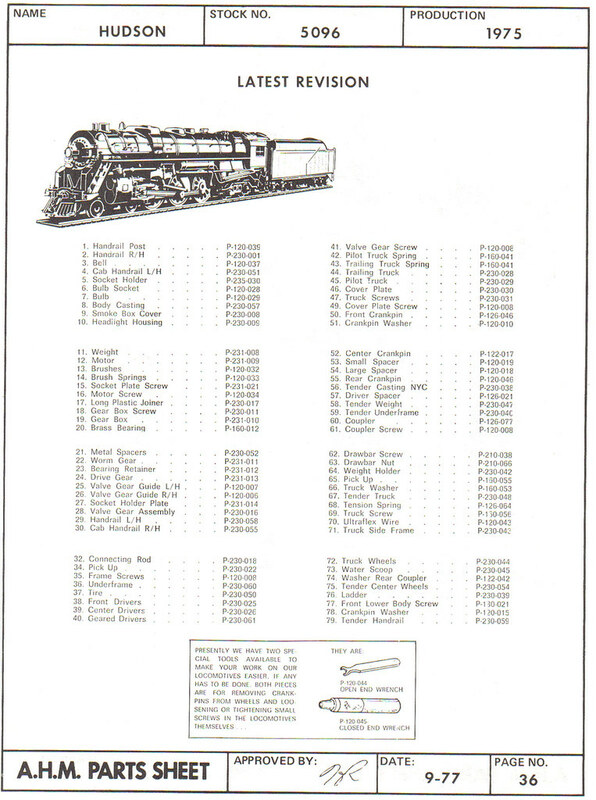 AHM's 1977 price list includes the 4-6-4 Hudson J3a with a retail of $89.98. By 1980, this NYC Hudson model was in AHM's catalog at $198.98. AHM's 1981 catalog features both the Boxpok and Scullin Disc Drivers variations. The Scullin example is noted as NEW in 1981. 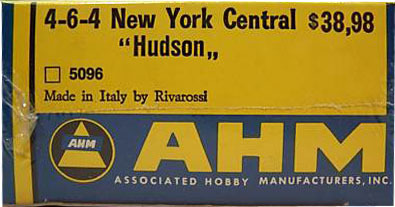 Following the Hudson's 1981 appearance in the AHM line, it was later available in the U.S. from Rivarossi. The Rivarossi example carried the same NYC No. 5405 and was stock number R5446 in the Italian maker's product line. 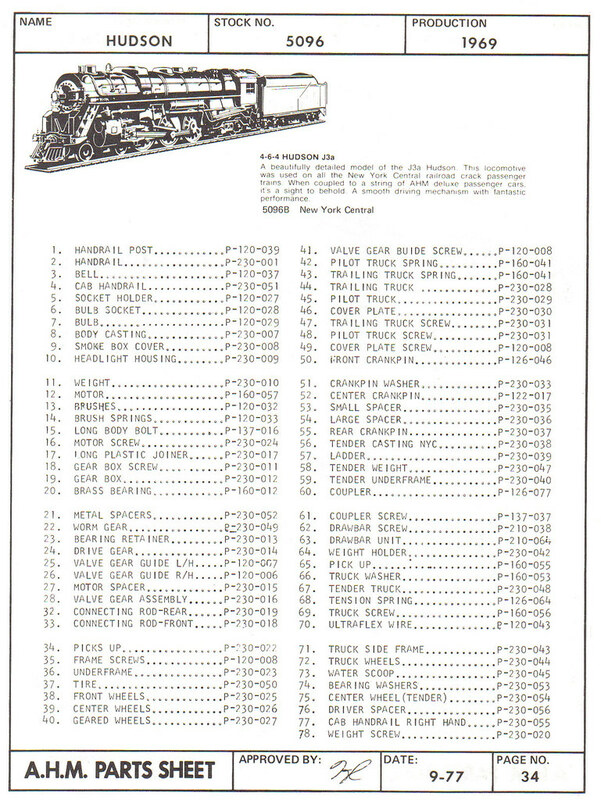 Plans for the New York Central 4-6-4 Hudson were presented in the November 1960 issue of Model Railroader. 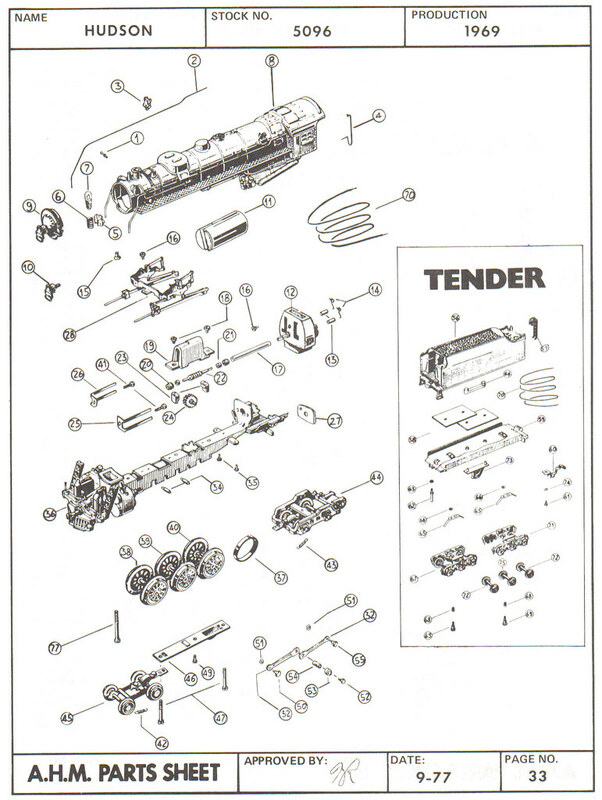 Above you'll find AHM's parts diagrams and parts lists for the Hudson Steam Engine. This model saw revisions in design over the years it was in the AHM line and variations are presented. You may click on any thumbnail image to open a large version for best viewing.